This week Aquatica Orlando became the first water park to become a Certified Autism Center (CAC) as distinguished by International Board of Credentialing and Continuing Education Standards (IBCCES). 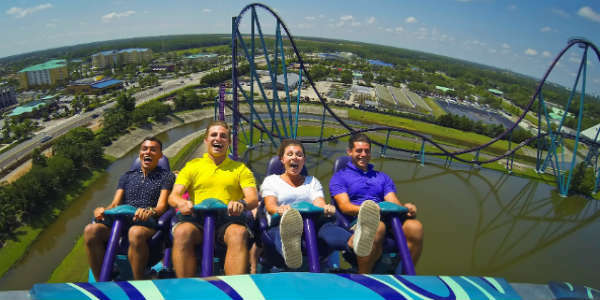 Hot on the heels of opening the new thrill ride Infinity Falls, SeaWorld Orlando has unveiled a new Annual Pass program with more benefits and new lower prices. 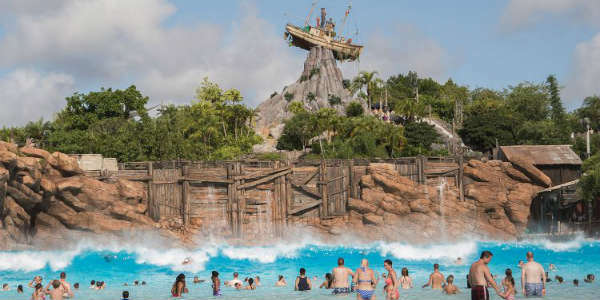 Just in time for National Water Park Day (July 28), TripAdvisor has announced the winners of its Travelers’ Choice® awards for Water Parks, and the list features several Central Florida water parks. 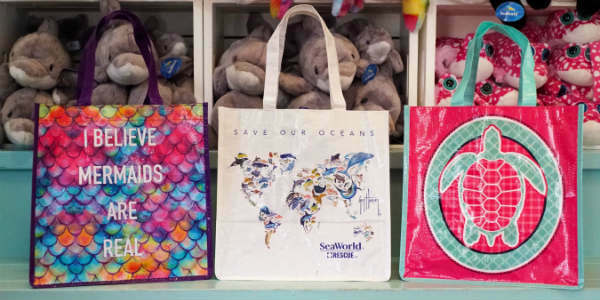 As part of its mission to protect animals and habitats worldwide, SeaWorld Entertainment, Inc. has announced that its 12 theme parks have removed all single-use plastic drinking straws and single-use plastic shopping bags. Recent news and studies have shown alarming consequences of the growing threat of plastics to our oceans and wildlife. 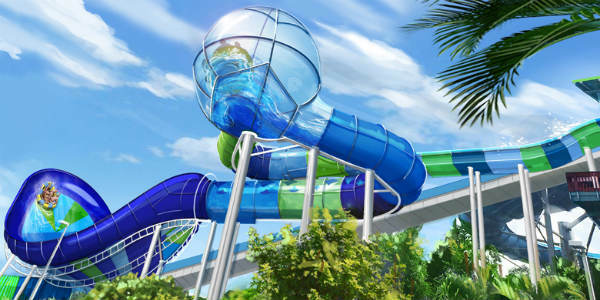 Ray Rush is a brand new attraction coming to Aquatica Orlando this spring, and the water park has given us an update on the construction progress. Construction crews have been onsite for the past several weeks, demolition of HooRoo Run is complete, and they have officially broken ground on the new attraction. With the start of a new year, SeaWorld Orlando, Busch Gardens Tampa, Aquatica Orlando, and Adventure Island Tampa Bay are banding together to offer new savings to both visitors and Florida residents. Aquatica Orlando is a fun place to spend hot summer days, but starting July 3, the water park will be heating things up on the weekend with Island Nights presented by Coca-Cola. This all-new beach party takes place every Friday and Saturday through August 8 from 5pm to 9pm in the evening. It’s a little chilly in Orlando right now, but luckily the water at Aquatica is heated. Even better, select weekends in February and March, admission is only $8! The Special Olympics Florida’s Polar Plunge at Aquatica Orlando is a statewide fundraiser during which individuals and teams, alongside Special Olympics athletes, raise money for the privilege of plunging into the chilled down wave pool. This year’s event takes place on Saturday, February 7. Registration starts at 9:30am, with the plunge starting at 11am. All participants get to stay and enjoy Aquatica for the remainder of the day – don’t worry, all of the other slides and attractions are heated. Plungers who raise at least $100 can also earn extra incentives, including Aquatica, SeaWorld, and Discovery Cove admission. Aquatica Orlando is offering a day at the park for only $8 this month. This limited time offer is valid any day between October 23-26, and is available only online and until they sell out. There is also a limited time pass online for only $37 that will let you into the park free until the end of the year. This deal is valid until they sell out. That’s less than the cost of a regular one day pass, so don’t miss out. 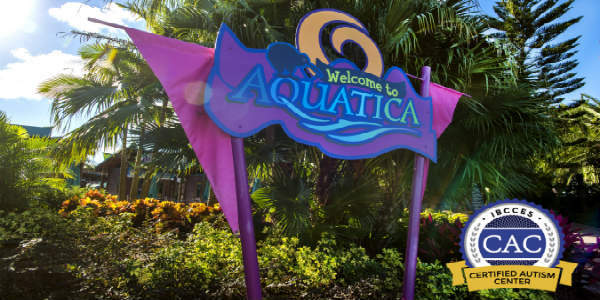 Aquatica Orlando is open daily from 10am to 5pm until the end of the year, weather permitting. 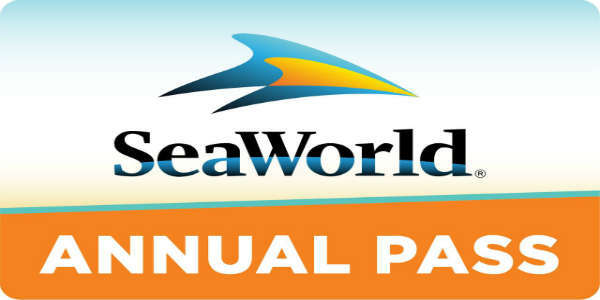 To purchase the $8 day pass or the $37 end of the year pass, visit AquaticaOrlando.com. After months of teasing, Aquatica Orlando has officially opened Ihu’s Breakaway Falls to the public today, May 9, 2014. Riders climb 126 steps to the top of the eight-story tower (nearly 80 feet), stepping into one of three colorful breakaway boxes. As the door closes, riders cross their arms but never know when the floor beneath them will disappear. Facing each other, riders watch as their fellow riders fall. Adding to the anticipation is the sound of a heartbeat, which can be heard in the background while bracing for the drop. Once the floor disappears, riders drop 20-24 feet per second launching them into a spiraling speed slide culminating in a final splashdown. Those who are not quite brave enough for the breakaway boxes can try the fourth open slide. But don’t be fooled, this is not an ordinary slide; it’s the steepest of the four slides and many riders are calling it the most intense. 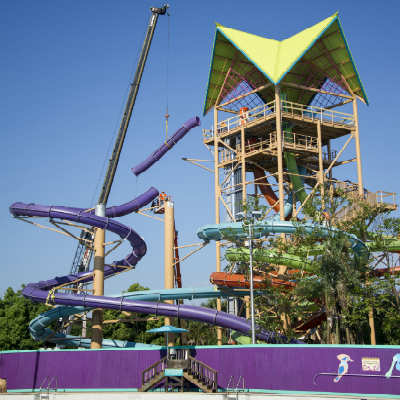 Aquatica Orlando, SeaWorld’s sister waterpark, installed the final slide section at its newest attraction, Ihu’s Breakaway Falls today, one month before its scheduled opening. Ihu’s Breakaway Falls will be the only high-speed water thrill slide in the world that propels guests through four 360-degree spirals, with slides nearly 80 feet tall. Riders will step into one of three clear “breakaway boxes,” and watch each other fall one-by-one as the floor underneath them disappears or test their bravery on a just as thrilling fourth open slide. Aquatica plans to open Ihu’s Breakaway Falls on May 9. For more information, visit AquaticaOrlando.com. 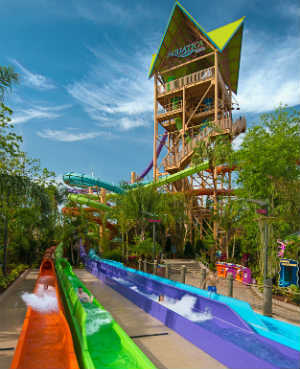 Thrill ride fans, get ready, because Aquatica Orlando has announced their new vertical drop water ride, Ihu’s Breakaway Falls, will open May 9, 2014. This free-fall style ride is the tallest, steepest and only multi-drop tower slide of its kind in the southern United States. It is nearly 80 feet tall, and features three clear “breakaway boxes” side-by-side that will open at random, so the riders have no idea who will drop first. There is also a fourth open slide, for those that want to know when they’ll drop. Ihu’s Breakaway Falls will be included with admission to Aquatica Orlando. From high-speed water slides and exhilarating wave pools, to tranquil beaches and the remarkable animal habitats that are the hallmark of sister park SeaWorld Orlando, Aquatica Orlando delights all ages and interests. For more information on the park, visit AquaticaOrlando.com. 2013 brought quite a few new exciting attractions, including Transformers and Simpsons land at Universal Orlando, Antarctica at SeaWorld Orlando, and New Fantasyland at Walt Disney World. But 2014 will bring even more new attractions and openings to the Orlando area, so we thought we’d run down a list of them.